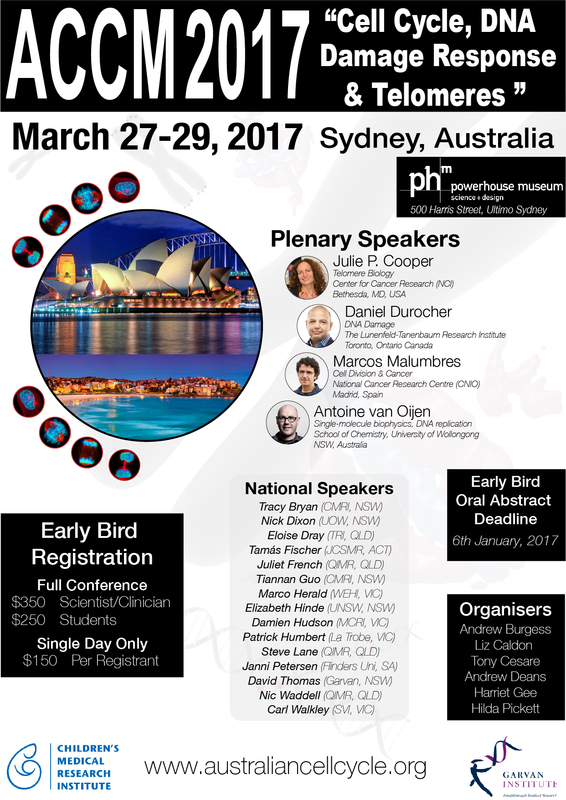 We are extremely excited to announce that Prof. David Thomas (director of the Kinghorn Cancer Center) has been added to the line-up for ACCM2017. To help celebrate this fantastic news, we have added a single-day registration option at a bargain of only $150. Make sure you register and submit your abstracts now for a chance to be selected for an oral of poster presentation. Looking forward to seeing you all in March.